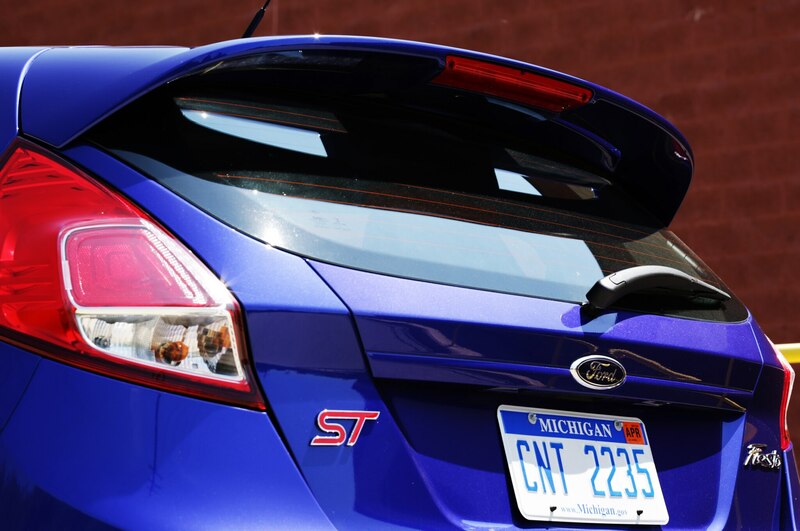 We were pretty pleased when Ford brought its Volkswagen GTI-fighting hot hatch, the Focus ST, to the U.S. in 2012. 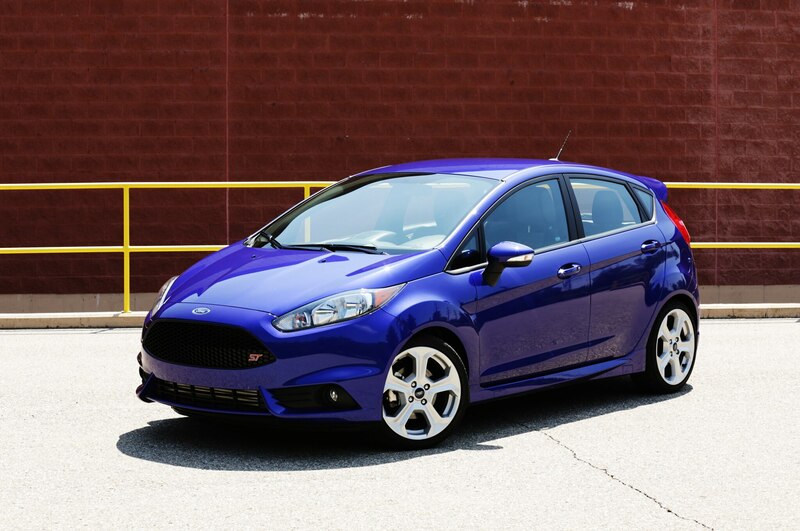 It was so powerful, boisterous, and entertaining that we awarded it, and the rest of the Focus lineup, an All-Star award in 2013. 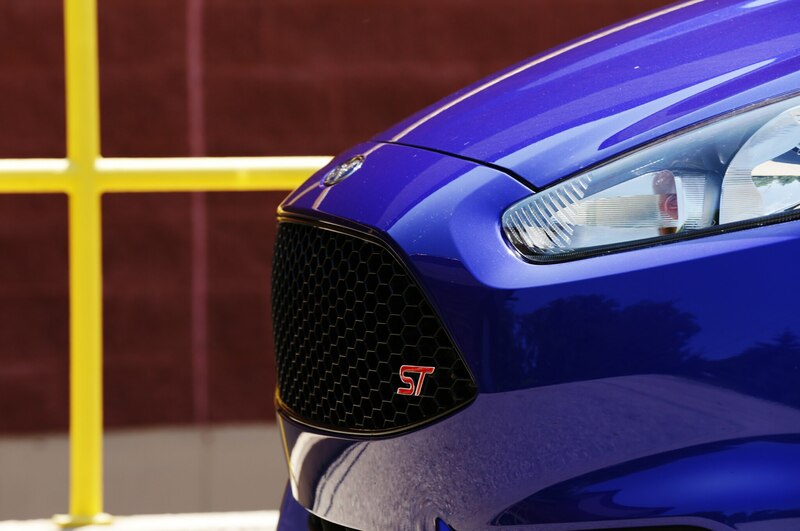 So imagine our surprise when we drove the Focus’ diminutive cousin, the peppy Ford Fiesta ST, and found it to be even more playful, engaging, and flat-out fun than the more powerful Focus ST. 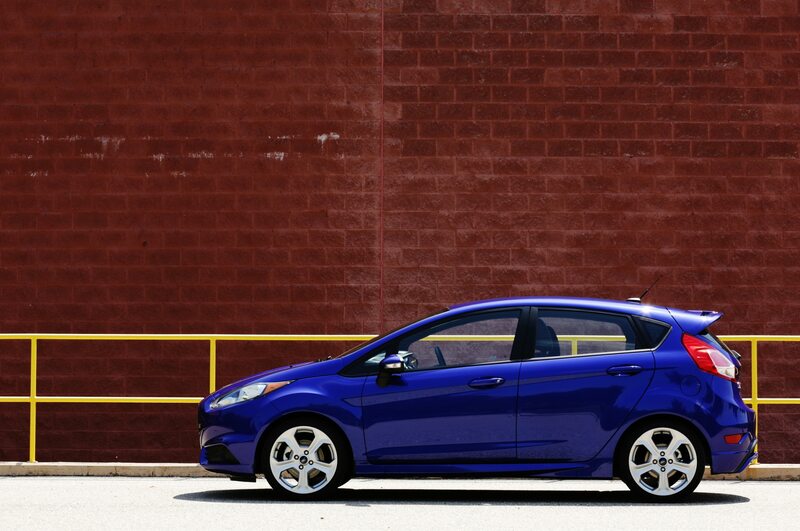 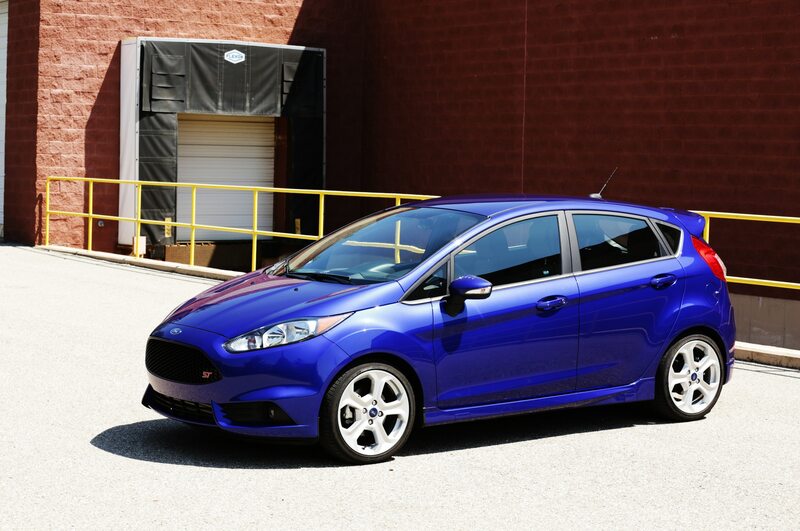 The Fiesta ST stole the Focus’ place on our 2014 All-Stars list, and we promptly ordered one up for a four seasons test. 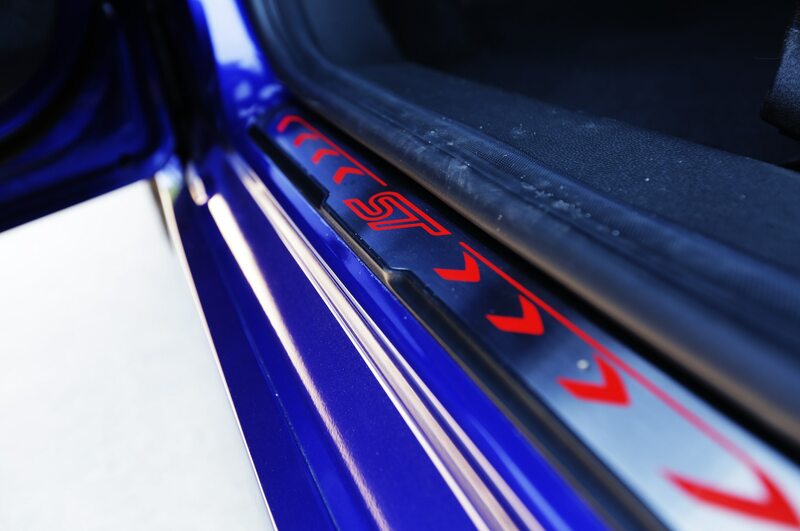 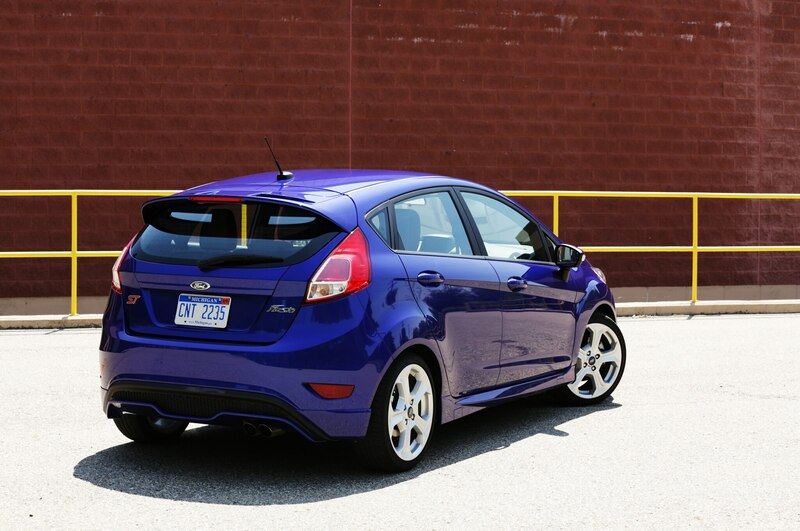 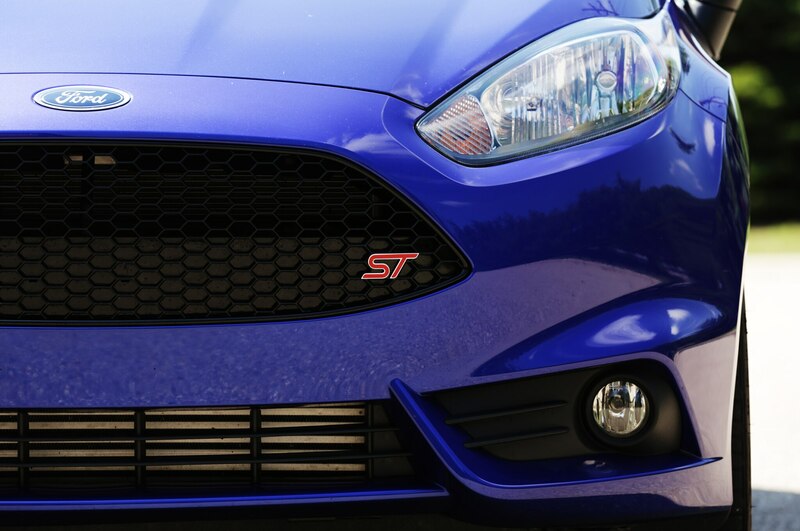 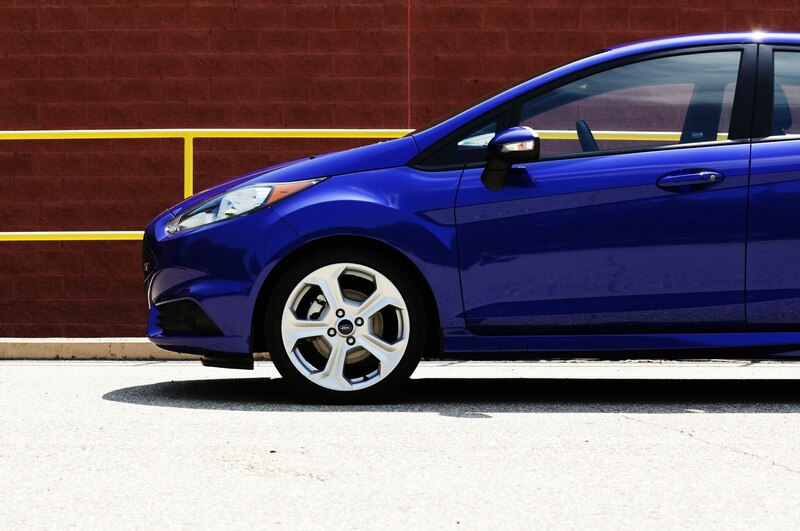 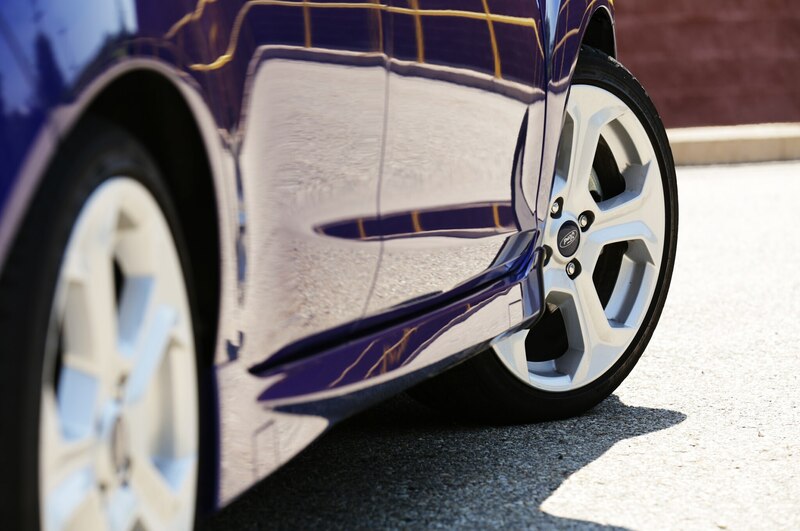 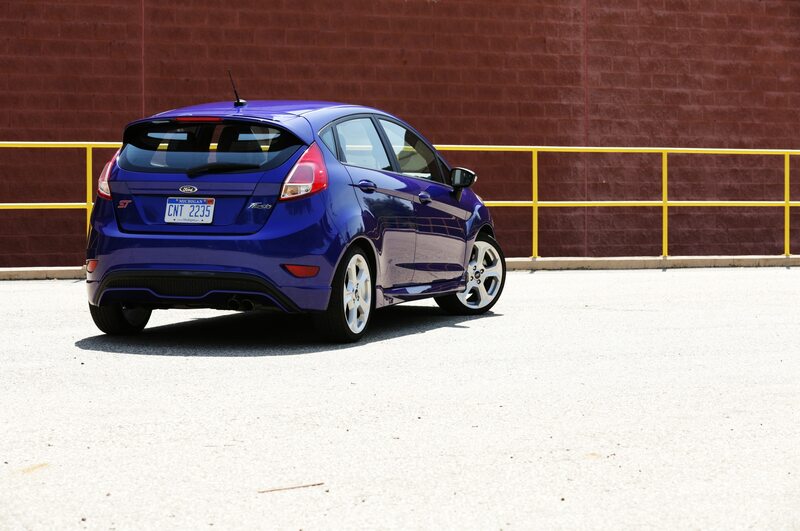 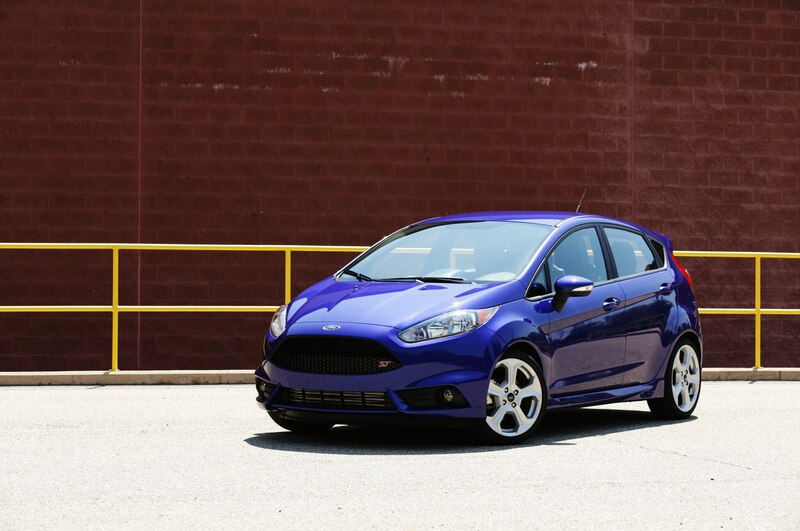 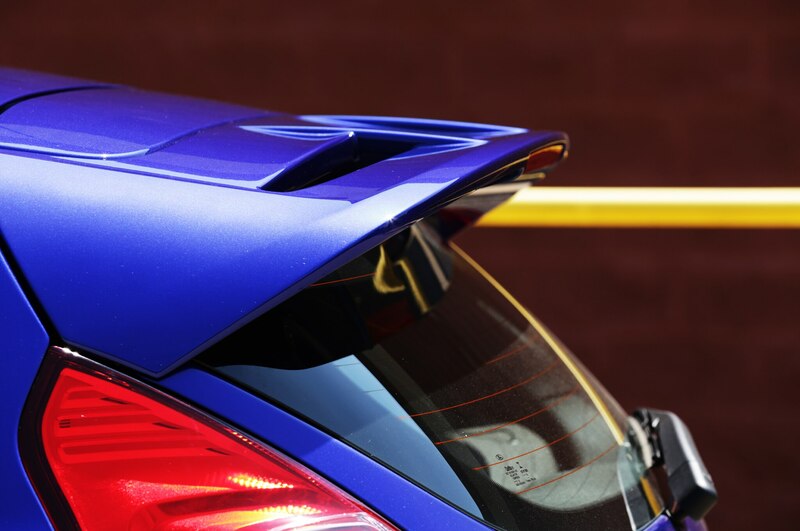 We didn’t have too many choices for optioning up our Performance Blue Fiesta ST. 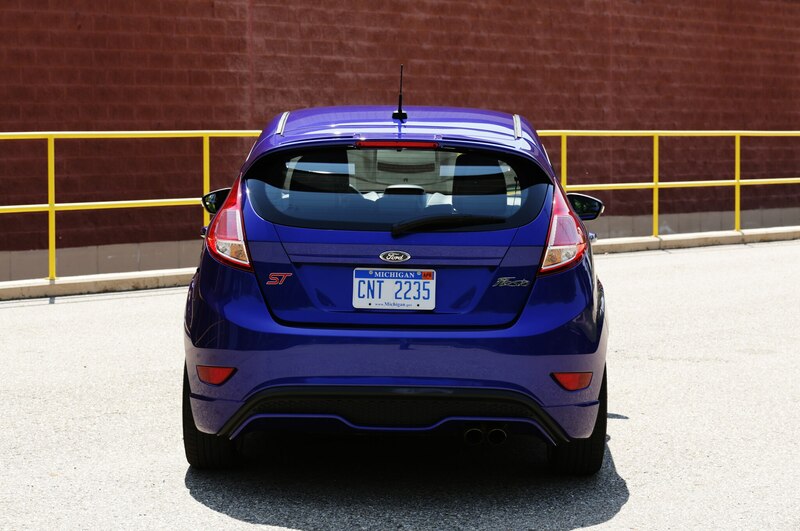 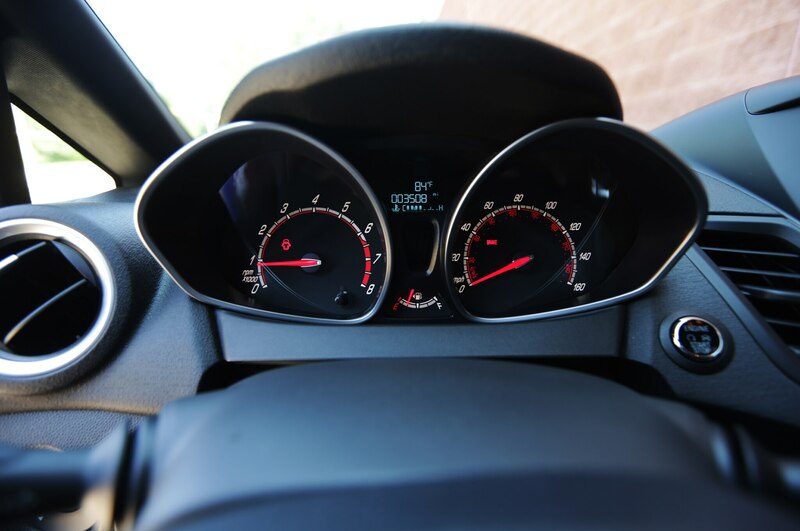 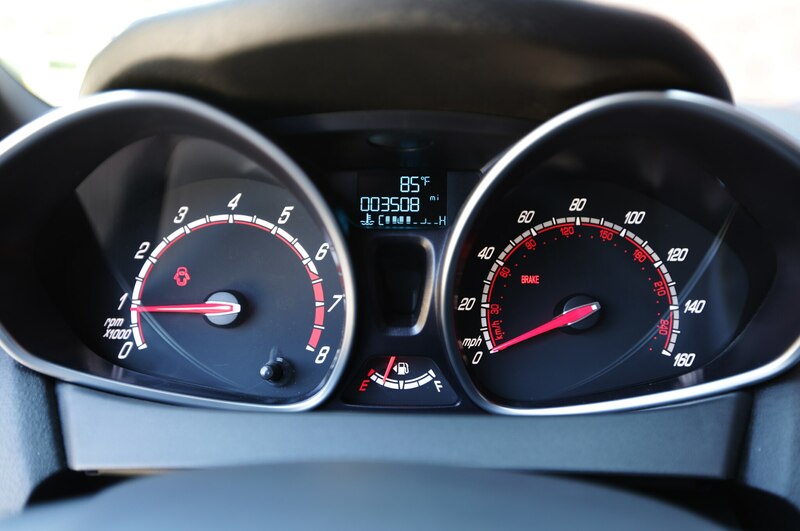 The 2014 Ford Fiesta ST comes only in four-door hatchback form, and has plenty of standard features including pushbutton start, the MyFord Touch infotainment system, and automatic climate control. 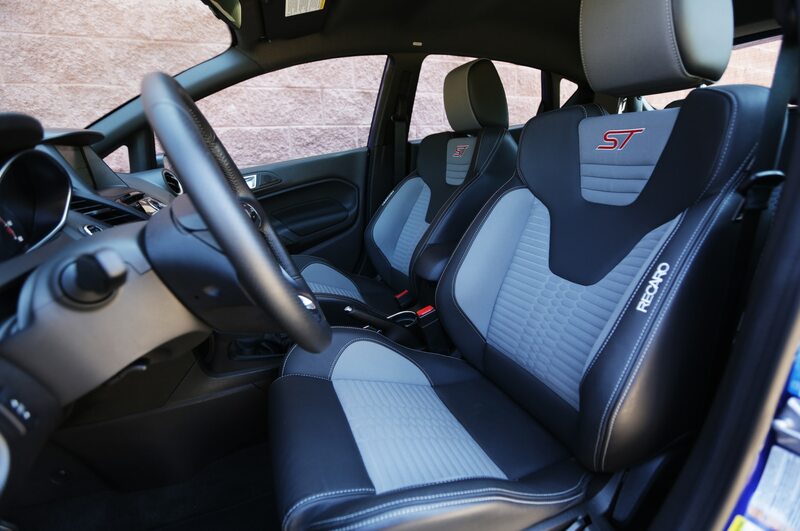 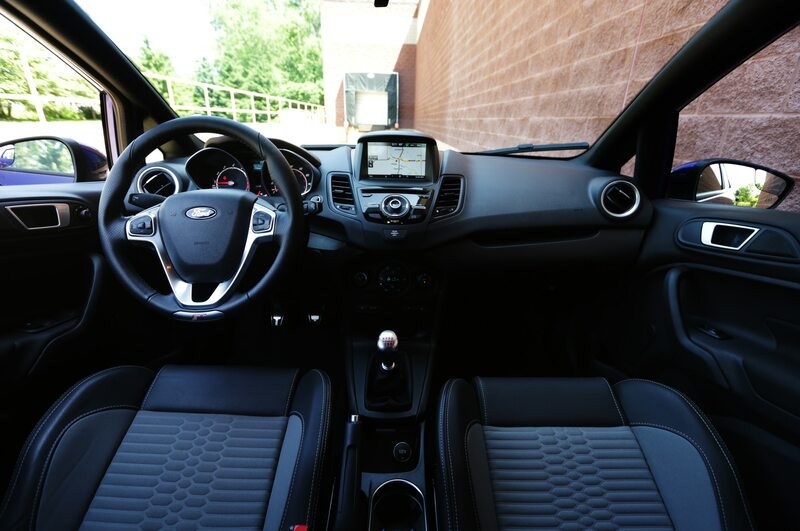 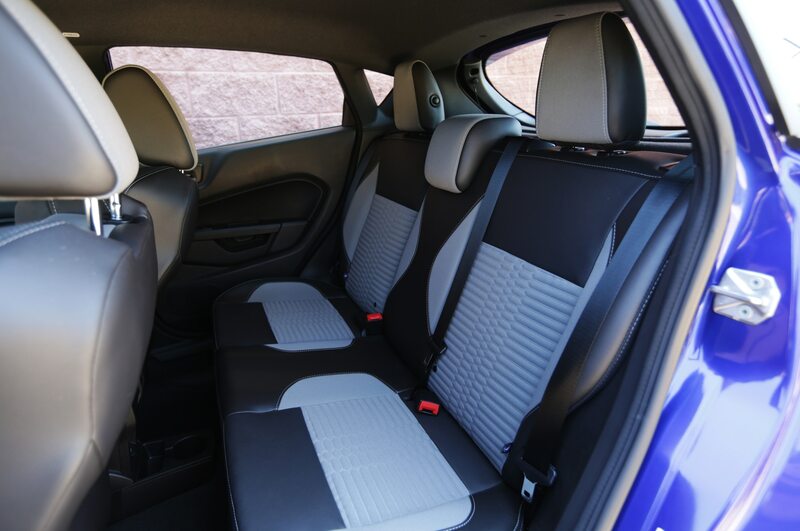 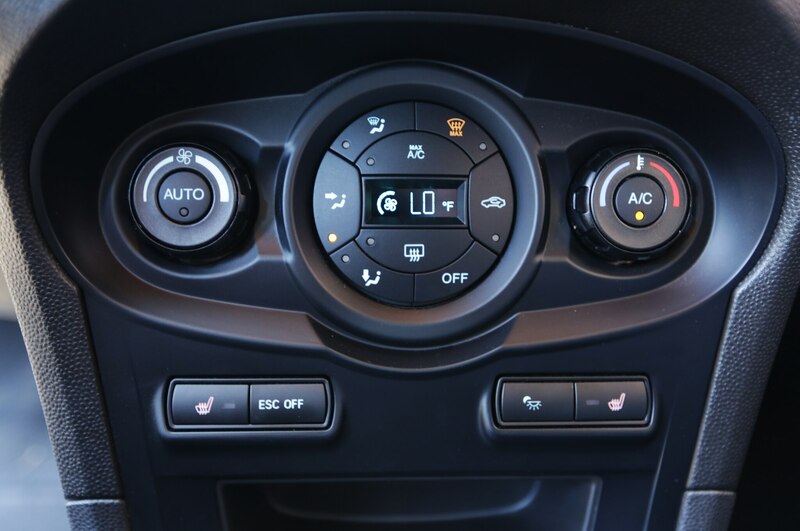 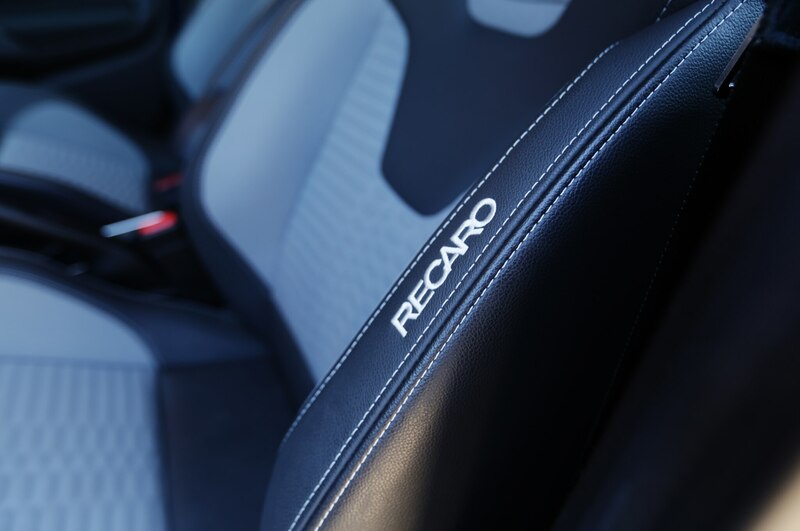 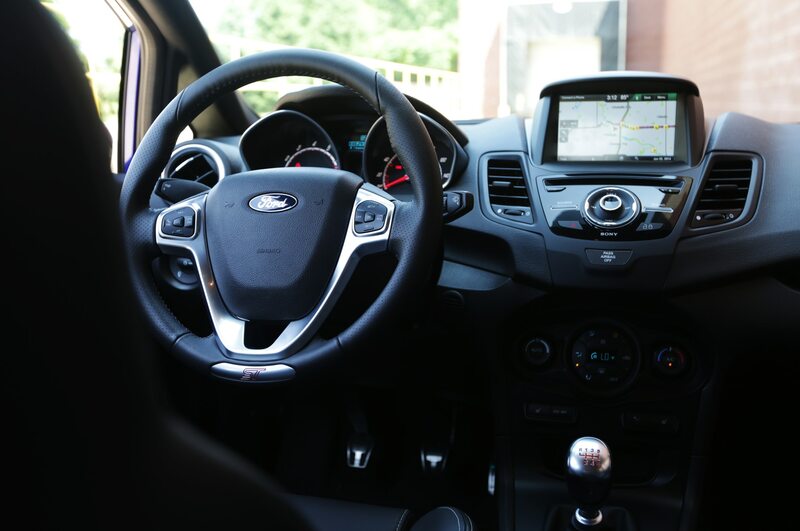 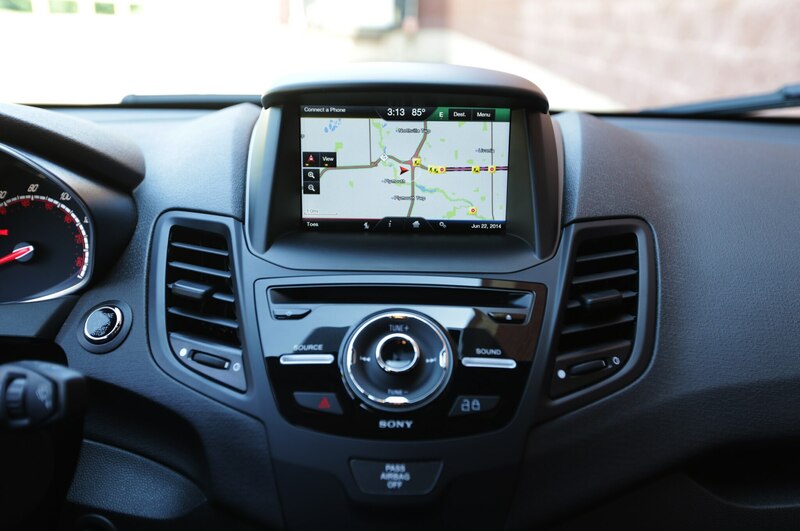 On top of that, we added two of the Fiesta ST’s few optional upgrades: the $1995 ST Recaro Package which swaps out the standard front chairs for special, heated, Recaro sport seats; and the $795 navigation upgrade that adds GPS functionality to the 6.5-inch MyFord Touch LCD screen. 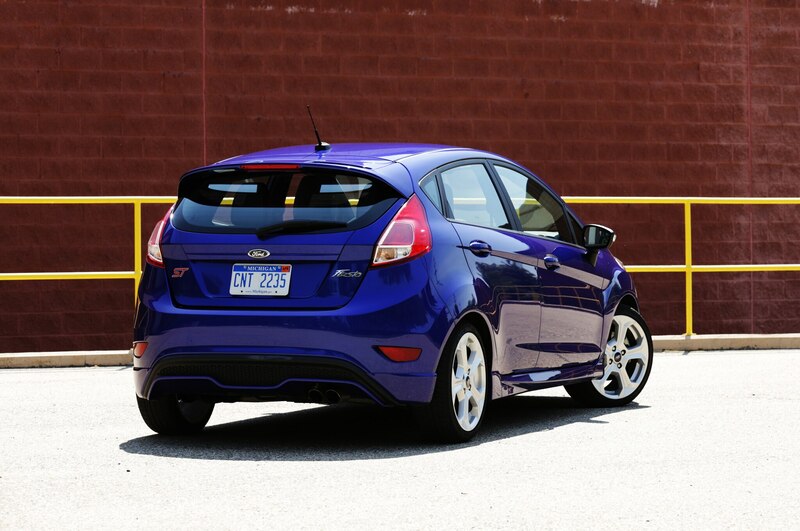 This all added up to a total price of $25,015 including destination, or $2790 over the Fiesta ST’s $22,225 base price. 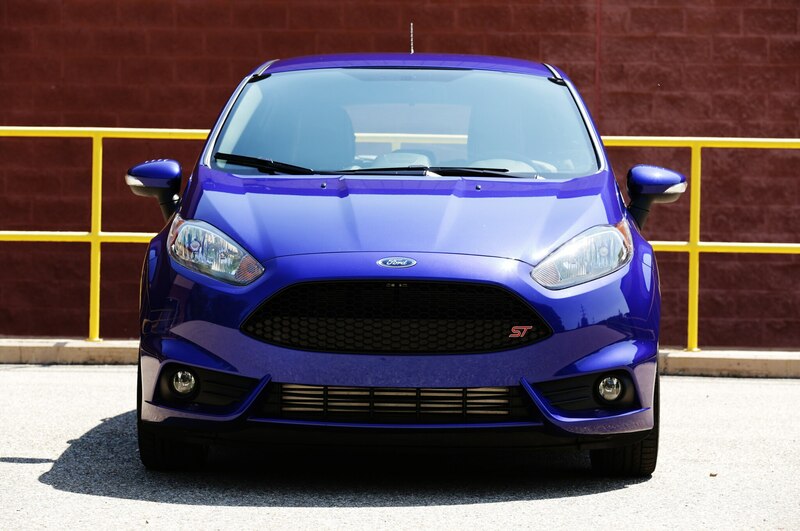 What really makes the Ford Fiesta ST special, though, are its numerous performance-oriented upgrades over the standard Fiesta subcompact. 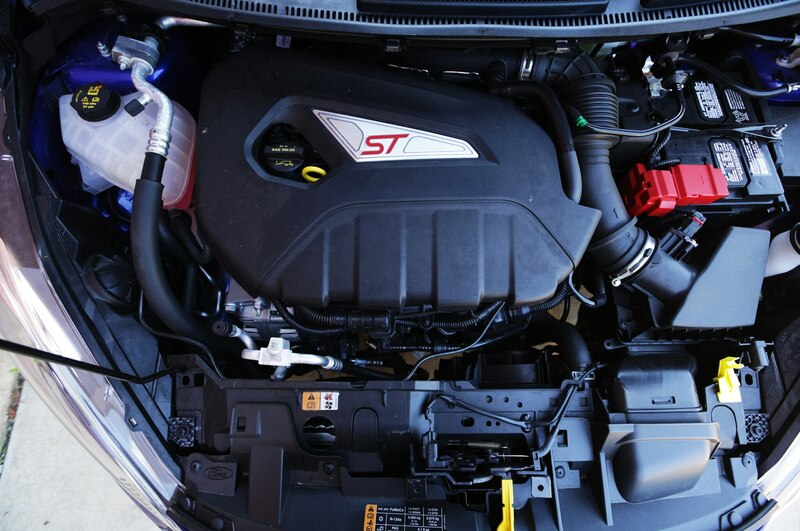 Its 1.6-liter turbocharged four-cylinder engine produces 197 hp and 202 lb-ft of torque and mates exclusively with a six-speed manual transmission. 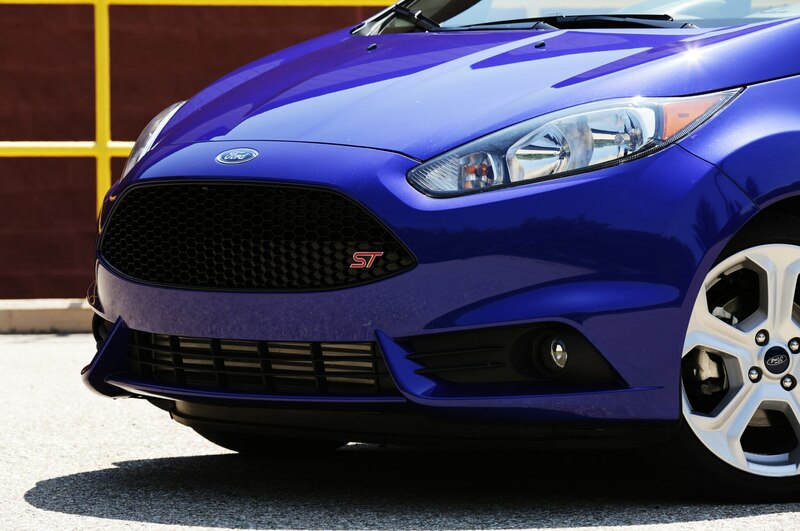 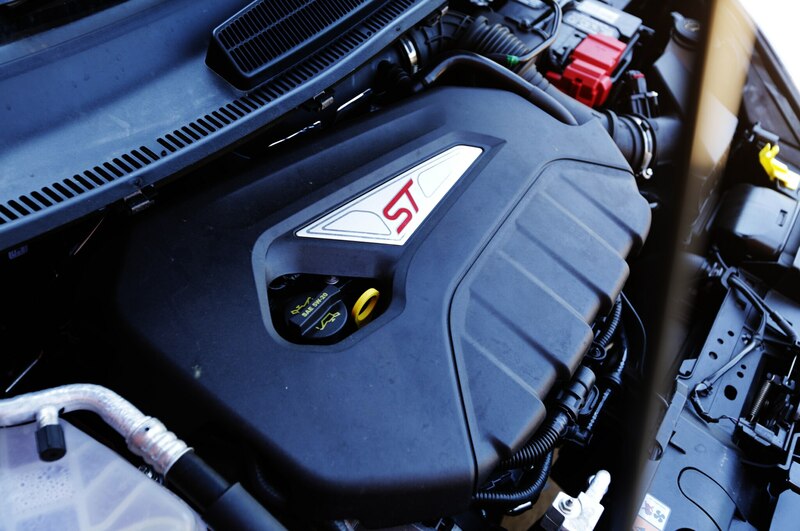 The specially tuned ST sport suspension features stiffer springs and dampers that lower the car 0.6 inches compared with its mainstream counterpart. 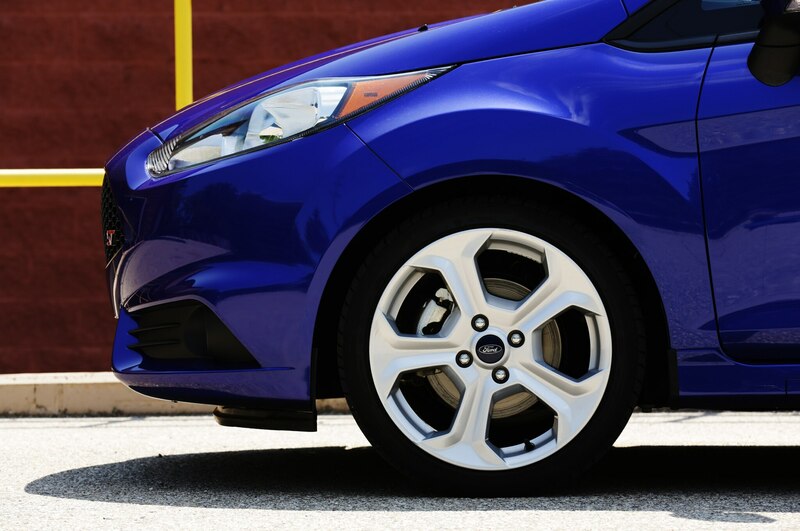 The brakes are enlarged all around, with high-performance pads and an upgraded master cylinder. 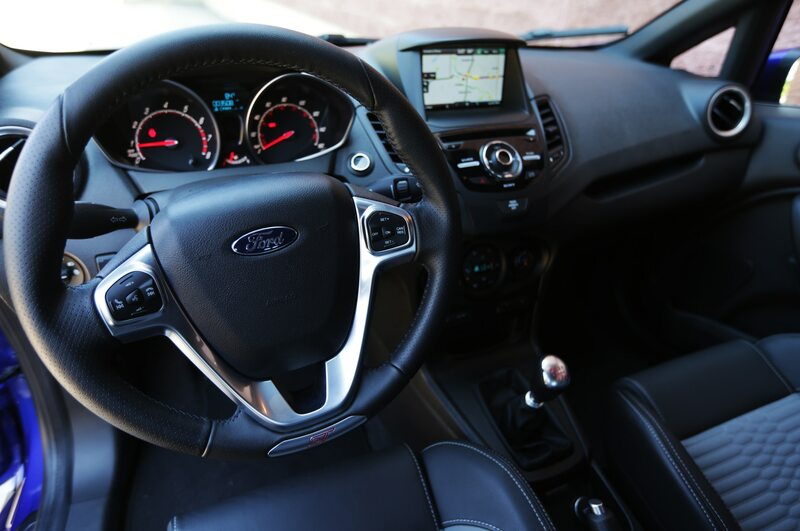 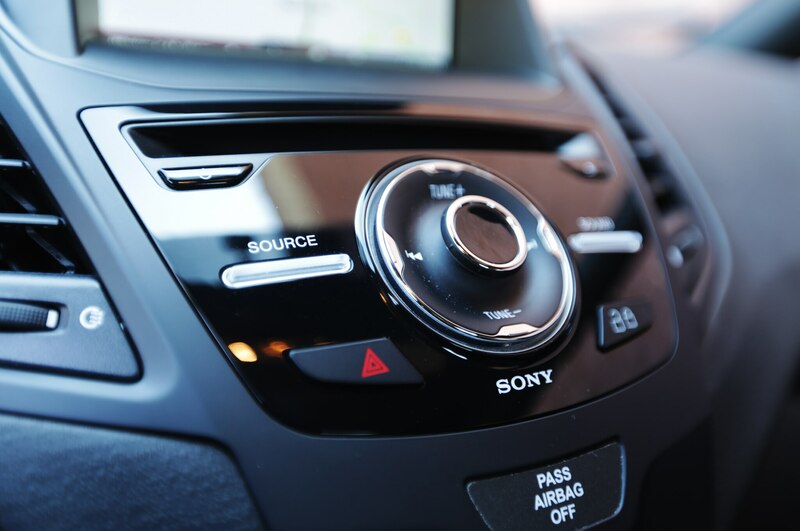 And a variable sound symposer brings the peppy EcoBoost engine’s raspy exhaust note into the cabin when you want it, but tones down the noise factor when you don’t. 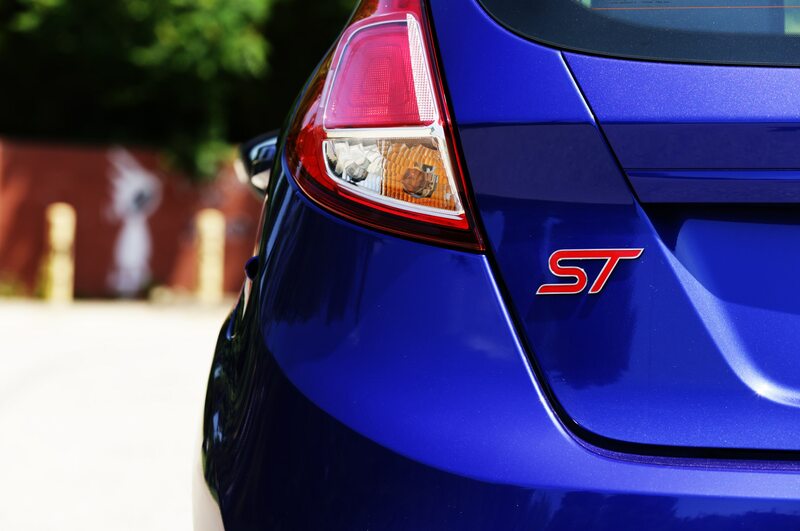 All of these things make the Ford Fiesta ST a hoot to drive, but we’re curious to see if its everyday hatchback credentials can live up to its performance potential. 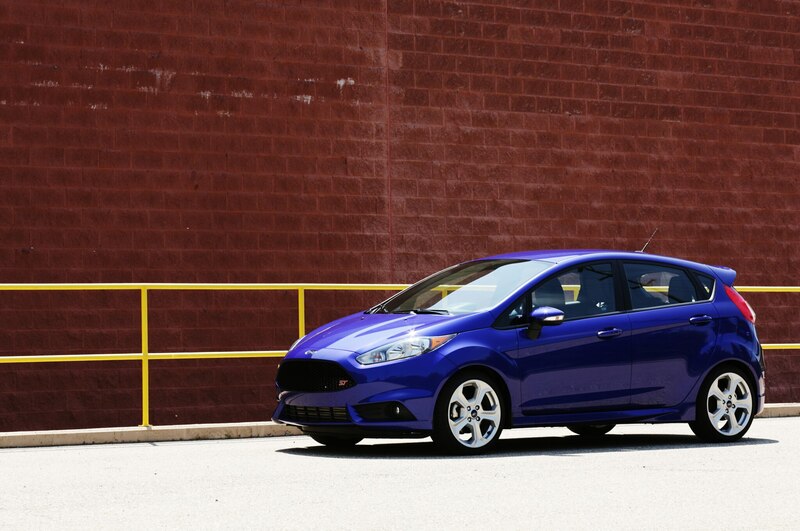 After all, hot hatches are some of the best all-rounders in the automotive universe. 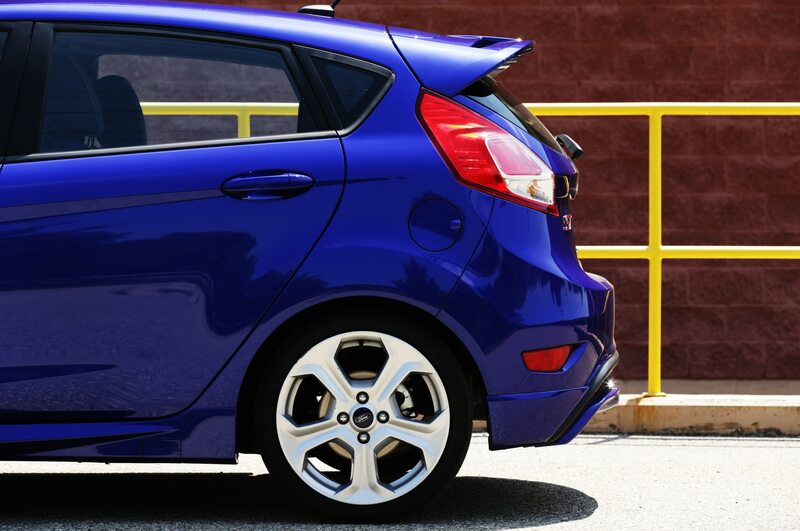 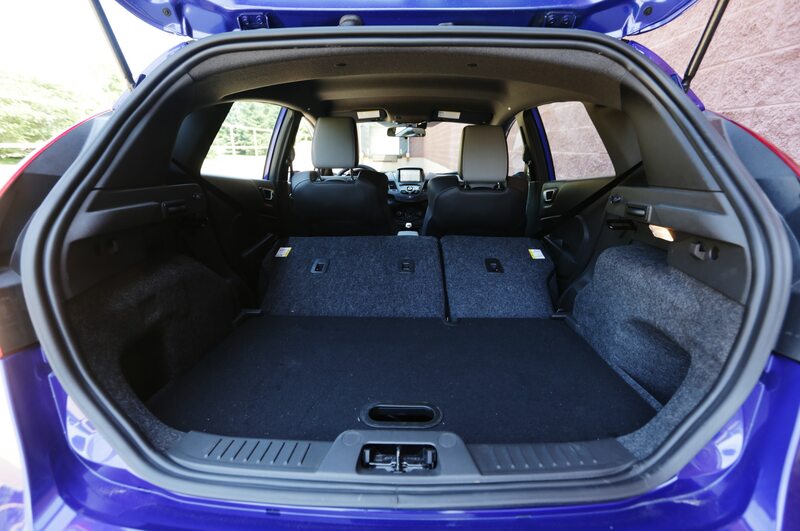 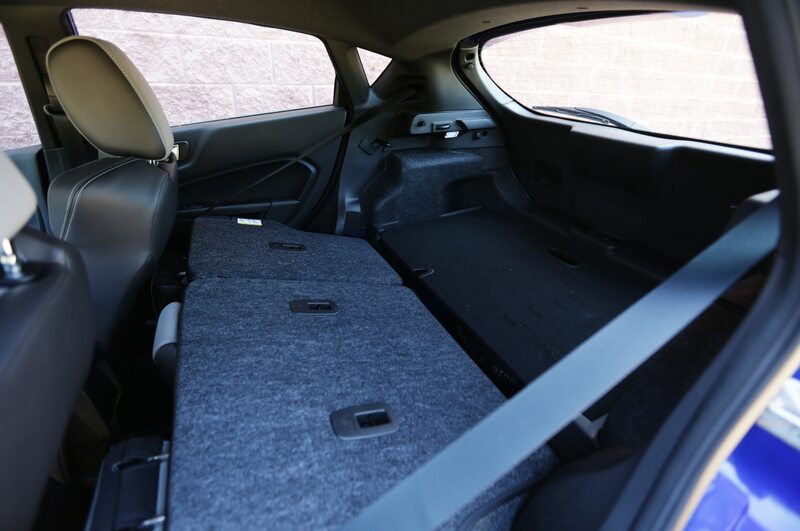 Over the course of our year-long Four Seasons test, we’ll do our best to put the Fiesta ST’s cargo capacity to the test, to take it on road trips, and to drive it through the worst conditions winter can throw at us. 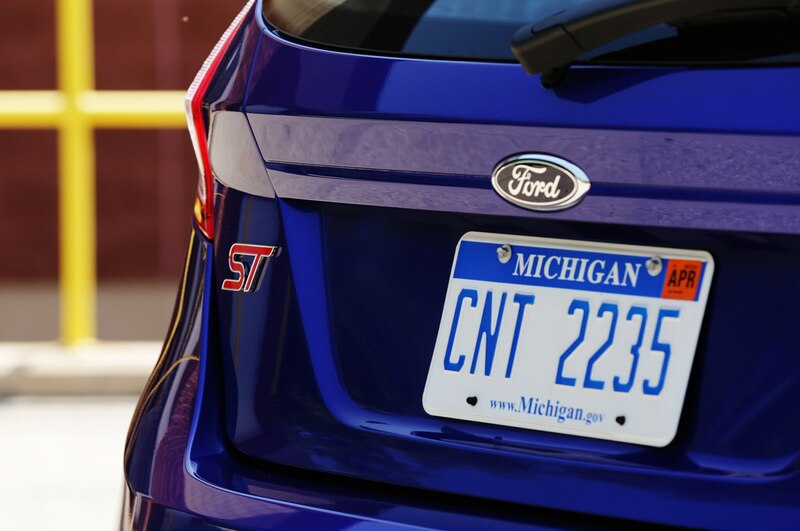 And don’t worry, we’ll make sure to have plenty of fun along the way. 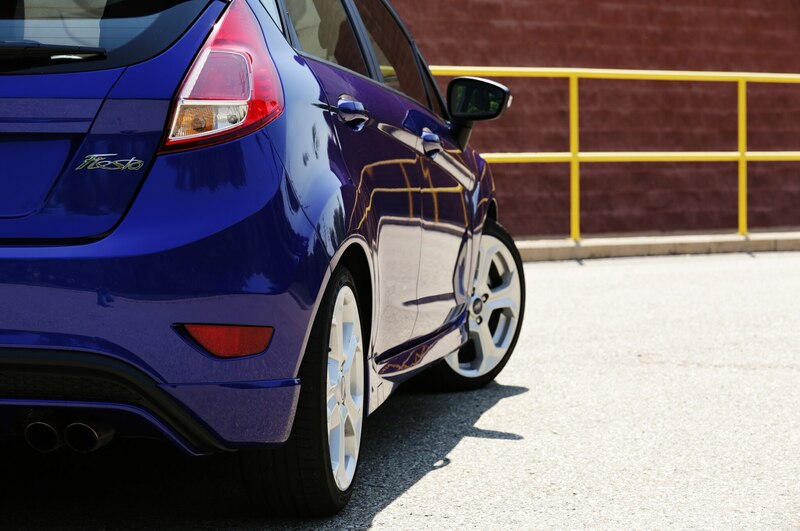 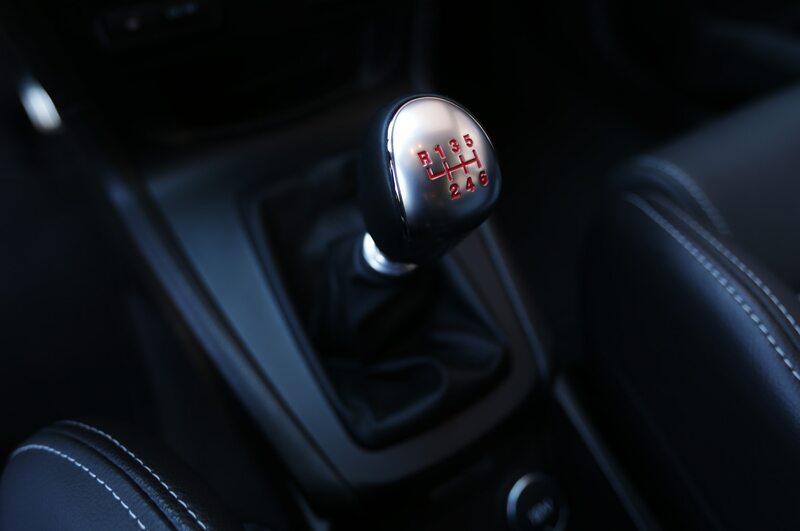 It’s hard not to in the Fiesta ST.